Your photo have a story to tell and this app is very beautiful for present the photos story to family, friends or clients. Google Plus album not only give you unlimited photos storage but also 4K video. Watching both video or slideshow playing with G Gallery is a great experience. 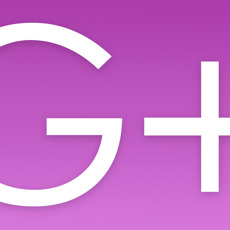 Google Plus album work great with Google Plus app as you can manage your circle on Google Plus app while you can visit your circles album with G Gallery. + Clean interface that looks great on both iPhone and iPad with support of both portrait or landscape orientation. + Unlimited storage from Google Plus album let you free from storage problem. + Manage thousand of photos online save your device storage space. + Cache photos/thumbnails for offline preview and does not cost much in storage. + Able to cache full album (Large photo) for offline view, also able to clear the album cache to free up storage space. + View your family, friend or circle connection photo album plus option to cache the album. + Advanced Cache System cache photos on your device with high quality photo and minimum space usage. + Great photo view experience with quick stats like date capture, camera type, location, caption or description for your photo at a glace. + Great photo view experience work together with Slide Show. · View your family, friend or circle connection photo album. · Slideshow come with time interval setting and 4 slideshow style option. · Run full screen slideshows for one Album set. · Pinch Pan on location map for detail. · Save map zoom level for Photo View preview. · Set map type such as Standard, Satellite or Hybrid on both Photo View or Photo Detail View.